You want to learn to read Tarot Cards? Then this must be your lucky day. The Beyond Worlds team is getting together for the most incredible series of free, interactive Tarot classes ever. Beyond Tarot is here! 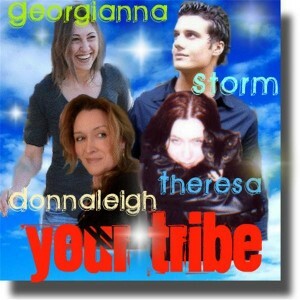 Donnaleigh de la Rose, Storm Cestavani, Theresa Reed and me, Georgianna are all going to be there. We’ve got nearly a hundred years of experience between us and we want to share it with you! Tonight we’ll start with the structure of the deck, the elements, the numbers, and what makes Tarot cards a special group of cardboard pictures. Call in with your questions (646) 200-0765 or listen here (live or later). You are currently reading Beyond Tarot – Episode 1 at The Tarot Room.